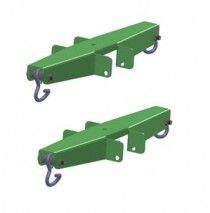 It is ideally designed for crawlers transitioning to walking to pull themselves up to a standing pos.. Fully carpeted 68''w x 107''d x 72''h, 35''h deck. Ages 24-42 months. Easy assembly in approxim.. Fully carpeted 54''w x 86''d x 60''h, 28''h deck. 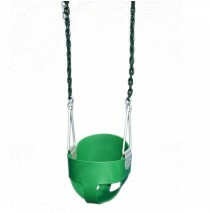 Ages 13-32 months. 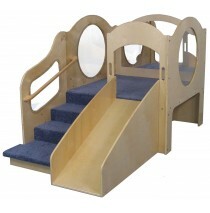 Easy assembly in approxima..
Includes 2-book display panels, 1-mirror, 2-bubble panels, steps with handrail and blue carpet on th..
Includes 2-book display panels, 1-mirror, 2-bubble panels, steps with handrail and beige carpet on t.. 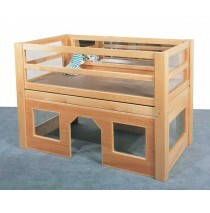 The children will love this system which adds a ton of space to your environment without undergoing .. 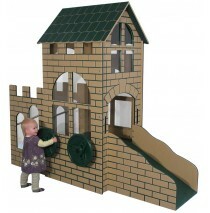 The extremely large, elegant structure encourages dramatic play, promotes reading and offers endless.. 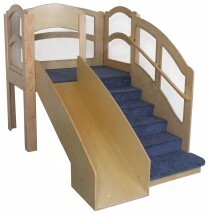 It is the ideal solution to accommodate a large group of school age children and add plenty of space.. 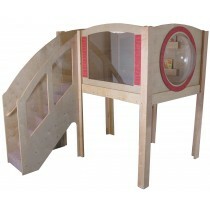 The crawlways below create a maze for crawlers up to 23 mos. 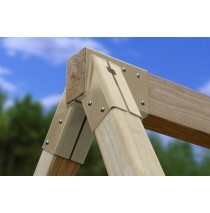 Beautiful solid Maple construction with..
134''w x 78''d x 94''h overall, 52''h deck, steps on right. 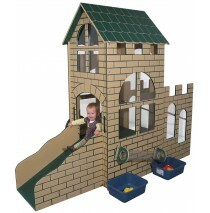 Includes MagiCarpet on steps & deck. .. Fully carpeted. 134''w x 78''d x 105''h overall, 60''h deck, steps on right. 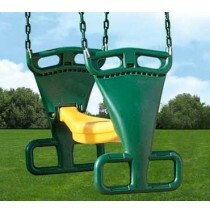 Assembles easily.. 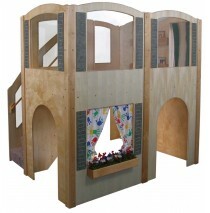 Wonderfully crafted of Solid Maple, Baltic Birch plywood and indestructible Lexan windows. Fully c.. 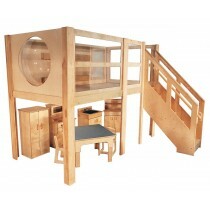 This is the safest, most durable and best designed loft built today for the modern infant-toddler cl.. 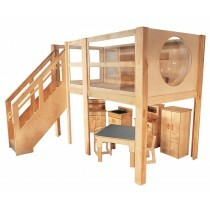 Wonderfully crafted of Solid Maple, Baltic Birch plywood and indestructible Lexan windows. Fully.. 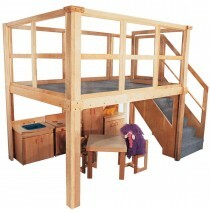 This exciting loft is an elegant, dramatic addition to the learning environment. 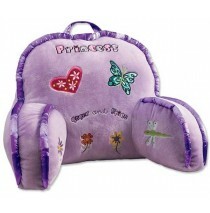 The design supports.. 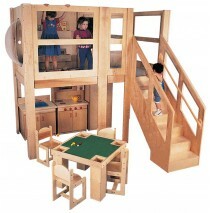 The design supports a full dramatic play set, computer table, science area or other activity center .. 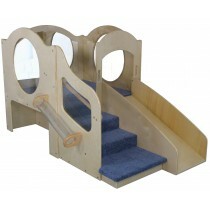 Strictly for Kids Mainstream Explorer 1 Preschool Corner Wave Loft with Blue Carpeting, Steps on Lef.. 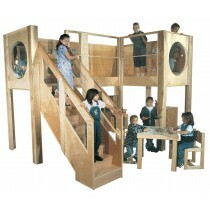 Strictly for Kids Mainstream Explorer 10 Preschool Loft. This tremendous loft adds a lot of space wi.. 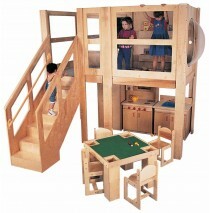 The open design supports a full dramatic play set, computer table, science area or other activity ce.. 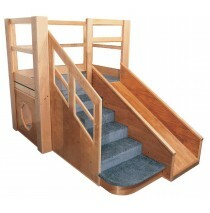 The features include a Book Display Panel on the upper deck, recessed steps on the left with a lower.. It allows you to expand the space with dynamic features that elevate your program to a whole new lev.. 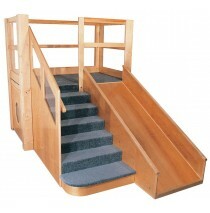 The features include a Book Display Panel on the upper deck, recessed steps on the right with a lowe..
Super industrial strength construction of solid maple, Baltic Birch plywood, clear unbreakable Lexan.. 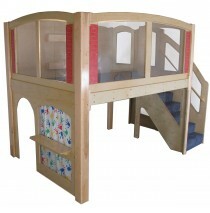 Strictly For Kids Mainstream Explorer 5 Expanded Preschool Loft, Steps Left, Blue carpet, 120''w x 6.. 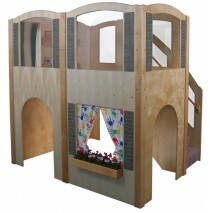 It adds additional space to the environment, encourages dramatic play and helps develop socializatio..
Includes a mirror, book display & bubble panel above to create a quiet reading space, open below for.. 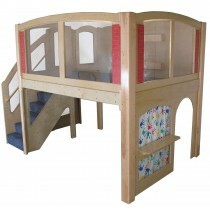 Strictly for Kids Mainstream School Age Explorer 5 Loft. 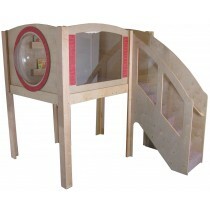 Includes a mirror, book display & bubble p..